Thanks to the internet I have tracked down a copy of Ian Wilson’s ‘Worlds Beyond’. Published in 1986, by Weidenfield and Nicholson. It accompanied a series on British TV. The case of Johnnie Minney is one of thirteen documented paranormal experiences in the book. This haunting took place in 1965. A bonus for me is the photo of Johnnie. Click on any of the thumbnail pictures to see the picture full size. I have copied out the chapter in full. If there is one consistent feature to stories of so-called 'ghosts', it is that they almost invariably seem to have their roots in some tragedy from the past. The more famous are of course of grand personages who lost their lives in well known historical incidents. Such is the case of Ann Boleyn who was beheaded at the order of Henry VIII. But sometimes, as in more than one case in this book, they can simply be of some child who never lived long enough to become famous, yet apparently because of some intense anguish or suffering, went on to perpetuate his or her presence beyond the grave. The case we are about to examine is particularly valuable because it is both relatively modern and unencumbered by the all-too-common plea for anonymity on the part of the participants. Those concerned were so convinced by what occurred that they chose to be identified by their real names. The year was 1965, the setting the tiny village of Waresley, Huntingdonshire. Since the fifteenth century a sturdy farmhouse has stood here, Vicarage Farm, owned in the early part of this century by the Minney family. When her parents John and Florry died their unmarried daughter, Margaret, stayed on in the house. In the 1960s it was divided up into two separate habitation units, the second being taken in 1964 by an Australian, Mrs Shirley Ross. On Wednesday, 7 July 1965, Shirley Ross received as a visitor for a few days, her old school friend and fellow Australian, Stella Herbert, whom she knew as 'Peg' from Kenthurst, New South Wales. It was Stella's first visit to England since she had been an eighteen-month-old baby, and she had only been in the country three days. On arrival at the doorstep she was briefly introduced to Margaret Minney, and the two women exchanged no more than normal pleasantries before Shirley Ross whisked her old friend in to hear all the latest gossip from Australia over a cup of tea. Photo of Vicarage Farm. The bedroom is 'arrowed' where the incident occurred. "I think I had been asleep for some time when I was awakened by a little boy kneeling at the side of my bed and looking at me with a pleading look. I can still see his face, so thin and drawn, and he gave me the impression that had he stood up he would have been tall and bony. His hair was fair and straight and falling to one side. I sat up in bed, and although he did not speak I could feel he was asking me to call his mummy, and I tried to call 'Mummy!' The strange thing was that I knew Mrs Ross was sleeping in the next room, but I also knew that was where he wanted me to call his mother from. I could feel his hands clawing at my arm - almost hurting it. I can remember the sensation vividly. This seemed to go on for a long, long time and I was very distressed but not afraid. Eventually I called 'Mummy!' rather loudly, and at that moment he disappeared. He seemed to be dressed in nightclothes (I got the feeling he was wearing pyjamas). Soon after that I went back to sleep." "She kept telling me how he used a sort of beseeching gesture putting his hands on her shoulders and pulling them down then up again - quite fast. She showed me how he did it crossing her arms in front of her. She said she seemed unable to call as he wanted for a long time, and she was greatly upset by his distress. She had tears in her eyes at this time …." Later that day Shirley tried hard to entertain Stella. She took her to the nearby market town of St Neots and they strolled around the mediaeval church with its stained glass windows, and admired the picturesque merchants' houses. But it was obvious that Stella's thoughts kept on returning to the events of the previous night. As she explained, forty four years earlier, when she had been a girl of fourteen, her brother Johnnie used to sleep in the very room where Stella Herbert had slept the previous night. In February of that year he suddenly fell ilI with meningitis. The day that this occurred his parents were away at an exhibition in London, and he was being looked after by his mother's sister. Because of his obvious distress she took him into her bed that night in the next door room, which was normally his mother's room, and that now occupied by Shirley Ross. On his parents' return Johnnie was rushed to St Thomas's Hospital in London, and after three weeks,when meningitis had been diagnosed, he was sent back home because the illness was at that time incurable. He was thereupon put to bed in what had been previously his mother's room, and throughout the long hot summer of 1921 he lay in this, constantly calling out for her during his repeated bouts of pain and discomfort. One of the results of meningitis, an inflammation of the membranes of the spine and brain, is repeated sickness and fever and Johnnie had to be repeatedly cooled with ice, and could eat nothing more solid than the white of an egg. Accordingly, he became increasingly emaciated, dying on the same date as that on which Princess Margaret was born. His death was made doubly tragic because he had been such a particularly good, attractive and well loved child, his nurse commenting that, 'He was too good to live'. As Johnnie's sister, Margaret Minney expressed herself overjoyed to hear Stella Herbert's description of him, feeling that throughout the years her lost brother must always have been with her in the house, even though she had been unable to see him. That night, apparently undeterred by her experience, Stella Herbert went on to sleep in the same room, and did so throughout her fortnight long stay at Vicarage Farm. She experienced no further visitation, nor was there any recurrence when two months later she stayed for a further couple of nights immediately prior to returning to Australia. But Shirley Ross's interest had become thoroughly aroused, and on 22 October she wrote to the Society for Psychical Research, giving a detailed account of the occurrence from notes she had made within two days of Johnnie's appearing to Stella Herbert. The case was immediately investigated by G.W. Lambert, a former President of the Society, and shortly after by journalist Andrew MacKenzie. Lambert went through the standard Society for Psychical Research procedures that accompany any serious investigation, and what makes the Johnnie Minney case particularly valuable is the positiveness of the results he achieved. Calling on Margaret Minney at Vicarage Farm, he learned the accuracy of the information outlined by Shirley Ross, and was shown a photograph of Johnnie, taken when he was three years old, before the onset of his illness. 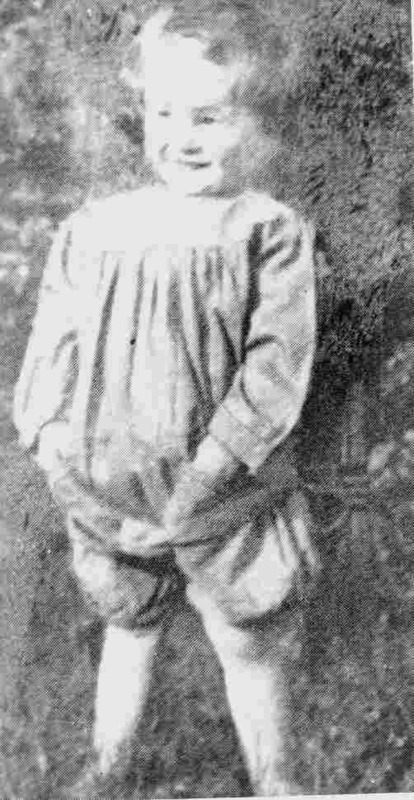 From this and Margaret Minney's information, he was able to establish the correctness of Stella Herbert's description of the little boy she had seen, that he had 'long and fair' hair which 'fell over his left eye'. Visiting the General Register Office, Lambert obtained a copy of Johnnie's death certificate which established the date of his death as 21 August, 1921. Although this showed that Johnnie had been four not five years old at the time of his death (as stated by Margaret Minney) this rather unimportant mistake could be attributed to more than a lapse of memory. The cause of death was confirmed as cerebrospinal-meningitis, and Lambert learned of this that it was an illness more prevalent in children than in adults, often, as in Johnnie's case, leading to severe emaciation. "I am the aunt who was keeping house at the time of his [Johnnie's] illness. I took him into my bed during the night, before his parents returned. He was very distressed. He was a very loveable child - everyone loved him. At his death he was wasted to skin and bone." Following up the case a year after the work by Lambert, journalist Andrew MacKenzie was able to fill in a variety of further details. From Margaret Minney, for instance, he learned that although Johnnie had been able to eat so little as he lay in bed during the summer months, he surprisingly grew in stature. This corroborated Stella Herbert's description of Johnnie that 'had he stood up, he would have been tall and bony'. Furthermore, he cast important new light on a particularly central feature of Stella Herbert's story, that Johnnie for some hitherto unexplained reason, wanted her to call out 'Mummy' for him. MacKenzie learned that during the final stages of Johnnie's illness he had lost the power of speech, and therefore was unable to call out 'Mummy' as he had done earlier. A loss of speech was part of the general failure of the brain's control areas that occurs in meningitis, a loss of vision and hearing also being common. This finding illuminated a powerful emotion that must have been present in Johnnie's mind during the last stages of his illness, extreme distress that he was no longer able to call for the comfort of his mother as he had been able to do previously. Suddenly crystal clear was the sense of Stella Herbert's information: 'I could feel he was asking me to call his mummy’. But, of course, Johnnie would not have been in the room in which Stella Herbert actually had her experience, but the next door room. His mother would have been in Stella Herbert's room that night. This made perfect sense of Stella Herbert's next piece of information: 'The strange thing was that I knew Mrs Ross was sleeping in the next room, but I also knew that was where he wanted me to call his mother from’. If there is a logic to Stella Herbert's experience it is not that she was seeing some 'replay' of Johnnie when he had slept in her room - for he would not have been emaciated at that time - rather some form of tuning in to Johnnie's distress as communicated wordlessly from the next room forty-four years before. This is a feature which makes the case of extreme interest both from the point of view of better understanding of the phenomena we call 'ghosts' and their evidentiality. Sensibly Stella Herbert seems to have avoided being too dogmatic or positive as to whether what she had been experiencing was an actual 'ghost', in the normal sense of the term, or instead, a dream. She acknowledged, for instance, being uncertain in her own mind whether she had actually called out 'Mummy' for the little boy, or whether she had merely dreamed she had. Shirley Ross, sleeping next door, said she had certainly not heard Stella call out in the night. Yet, as Stella emphasised, whatever it was she had experienced, it had been sufficiently 'real' that she not only saw Johnnie but, quite hauntingly, felt his bones: 'His arms were so thin, like bones with only the skin stretched over them, and I can still feel his hands on my shoulders. We have, of course, to consider whether or not the whole story of Johnnie Minney may have been in some way invented by one or more of the three women involved. The justification for this seems particularly thin. Stella Herbert, for instance, had not been in England since she was eighteen months old, and visited Shirley Ross only three days after her arrival in the country. She had neither much opportunity to learn anything about Johnnie Minney, nor any obvious motive for wanting to concoct a story of such a kind. Although she had had an occasional other 'psychic' type experience, it was not something she was either used to or tried to cultivate. 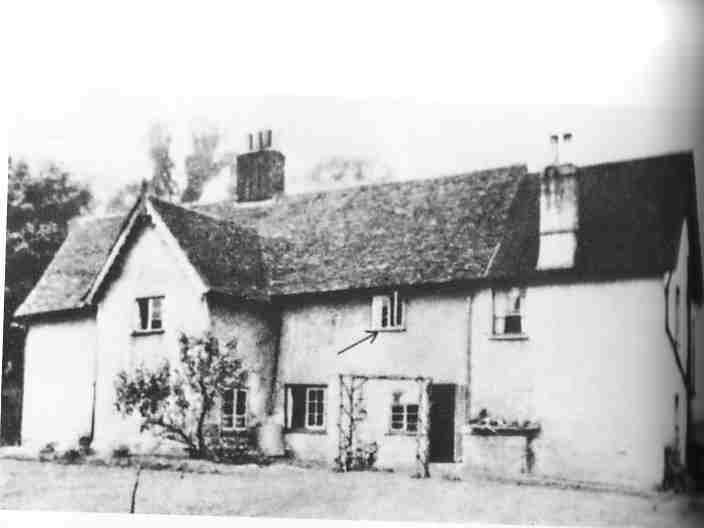 Shirley Ross, for her part, who had lived at Vicarage Farm for about eighteen months, was emphatic that she had never heard of Johnnie's existence until this was mentioned by Margaret Minney after Stella's experience. Margaret Minney confirmed that she had never previously spoken about her dead brother in any prior conversation with Shirley Ross. who died 21 August 1921 aged four years. But even if Shirley identified this as a dead relative of Margaret Minney, it hardly provided sufficient detail for the vivid picture of Johnnie conjured up in Stella Herbert's mind. Furthermore, Margaret Minney emphasised that Shirley Ross had never been shown the photograph of Johnnie, which she kept hidden away in a drawer. As for Margaret Minney herself, it seems hardly likely that she would have 'staged' some apparition of her dead brother for the Australian staying in her house, nor that she would have colluded with them in inventing the whole story. The three women made no attempt to obtain any commercial gain from the experience, Margaret appearing merely to have been 'overjoyed' that her dead brother had somehow remained in the house, regarding Stella Herbert's unique viewing of his 'ghost' as a result of her greater sensitivity than anyone else who had previously been in the house and because of her 'passionate' fondness for children. 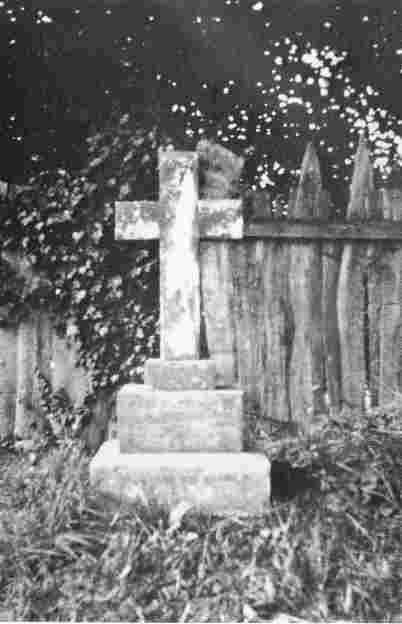 Before concluding, one further ostensibly paranormal circumstance associated with Margaret Minney's account of Johnnie's death should perhaps be mentioned. Apparently he died at ten o'clock at night and, according to what she was told by her mother the next day, at the moment of his death a flash of white light and a cross appeared on a door in the room at which Johnnie, during the last stages of his illness, had frequently gazed. By way of conclusion, Andrew MacKenzie's interpretation of the Johnnie Minney phenomenon is particularly worth quoting: The boy had wanted his mother when he was first taken ill in the room in which Mrs Herbert slept, but he was then able to call her. However, in the later stages of his illness, when he was in the other room and without his powers of speech, he must have wanted his mother, who obviously could not be with him all the time, and been unable to call her. The tension built up in this painful situation was, I believe, transmitted to Mrs Herbert by the appearance of the apparition what Mrs Herbert saw was a vivid dramatisation of an old and painful situation. It seems a particularly percipient and sensible analysis. Are ghosts emotions frozen in time, perhaps etched into a building's fabric just like a musical recording in the grooves of a gramophone record? If one day psychical research achieves a breakthrough into the nature of the so-called paranormal, the case of Johnnie Minney may well have been a valuable stepping stone along that path. Footnote: I visited Margaret in the early 1990’s. She said a lot of information was left out of the story. She said that Johnnie was extremely close to his mother and that when he was in hospital his mother was only allowed to see him through a glass door and poor Johnnie kept crying out for her.